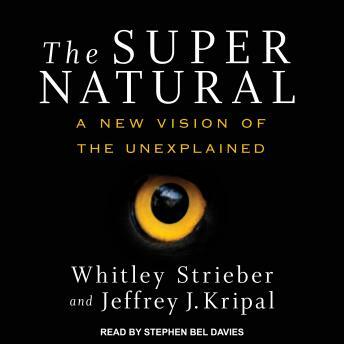 Whitley Strieber and Jeffrey J. Kripal team up on this unprecedented and intellectually vibrant new framing of inexplicable events and experiences. Rather than merely document the anomalous, these authors-one the man who popularized alien abduction and the other a renowned scholar-deliver a fast-paced and exhilarating study of why the supernatural is neither fantasy nor fiction but a vital and authentic aspect of life. The Super Natural considers that the natural world is actually a 'super natural world'-and all we have to do to see this is to change the lenses through which we are looking at it and the languages through which we are presently limiting it. In short: The extraordinary exists if we know how to look at and think about it.